Travel rewards credit cards can be incredibly lucrative, but the value you get from them disappears quickly if you’re carrying a balance with a high interest rate. Excessive debt can also damage your credit score and keep you from taking advantage of the best credit card sign-up bonuses. A lot of would-be award travelers are sitting on the sidelines of the points and miles game because they’re not sure how to get out from under their existing balances. Today I’ll explain how you can use balance transfer credit cards to avoid interest charges while you pay off your debt and earn travel rewards at the same time. Since credit card debt is unsecured, it has a higher interest rate than other loans that are secured like a home mortgage or a car loan. Credit card debt can also be more costly than a home mortgage or a student because it’s never tax-deductible. If you’re constantly paying interest charges on your credit card balances, your first priority should be to pay off that debt as soon as possible in order to avoid incurring additional interest charges. But if you (or someone you know) has used a credit card to get into debt, then it may also be possible to use a credit card to get out of debt. The key is to open an account that offers 0% APR introductory financing for balance transfers. These offers are kind of like welcome bonuses, in that they extend valuable benefits to encourage new applicants to open a credit card account. But instead of (and occasionally in addition to) earning points or miles, you receive interest-free financing on any existing balance you transfer to the new account. In addition, most of these offers also feature 0% APR financing on new purchases. However, to really take advantage of a promotional financing offer, you have to combine it with a sound plan to pay off your debt. This should involve reducing your expenditures, maximizing your income and making regular payments toward the principal balance. So long as the 0% APR promotional financing offer is in effect, you won’t pay any interest charges, allowing you to save money while eliminating your debt as quickly as possible. By law, these balance transfer offers with promotional financing must be valid for at least six months, and the top offers currently available can extend for as long as 18 months. The vast majority of balance transfer offers include a balance transfer fee of 3% of the amount transferred that gets added to the new balance. Some have a fee of up to 5%, and there are even a few offers with no balance transfer fee. Yet most of the time, a 3% fee is far less than the cost of interest that would otherwise be paid over the course of the promotional financing offer. Also keep in mind that you can’t transfer a balance between two cards from the same issuer. For most people with credit card debt, trying to earn rewards while paying down the balance isn’t the best strategy. Rewards credit cards invariably have higher interest rates than similar non-rewards cards, and cardholders who are struggling with debt are the last people who need a rewards card that gives them an incentive to spend more money. 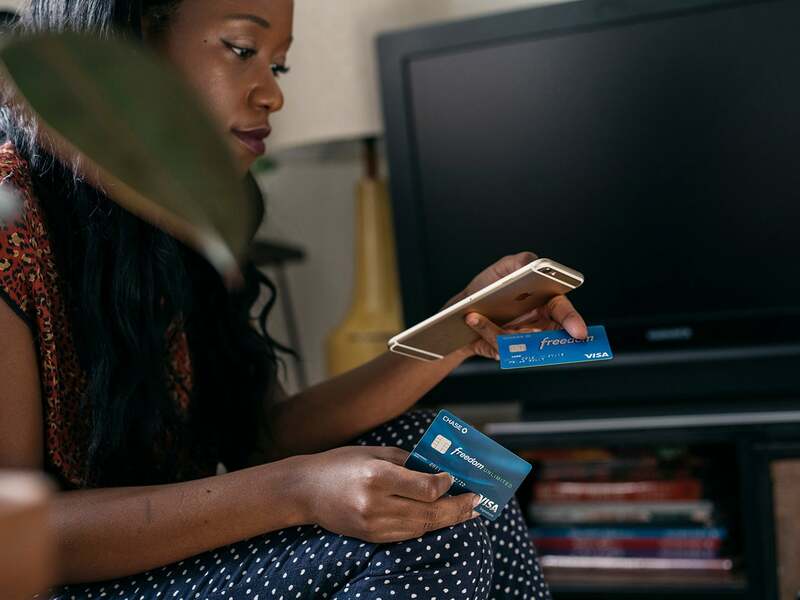 Nevertheless, some cardholders feel that so long as they’re paying down their debt and temporarily avoiding interest, then they can safely earn rewards on their spending. 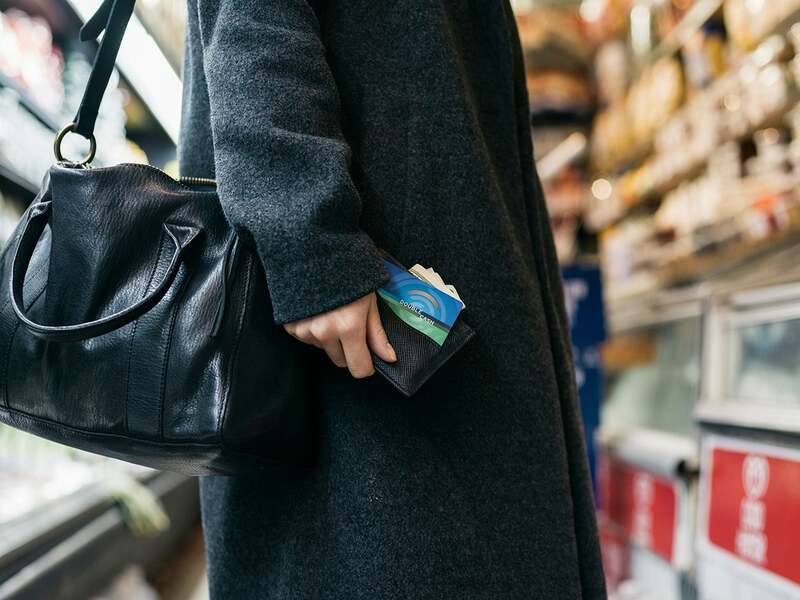 If you get a rewards card with a 0% APR offer, keep in mind that you won’t earn points, miles or cash-back rewards on the amount of the balance transfer or any balance transfer fees. Occasionally, some card issuers offer a welcome bonus on the amount transferred, but that’s not the case with any current offers. These offers vary in the terms and benefits offered, but all of them feature a 0% APR on balance transfers that can help you consolidate other credit card debt. Although not a travel rewards card, Slate is one of the only cards with 0% APR promotional financing on balance transfers that also comes with no fee for balance transfers completed within 60 days of account opening. New applicants receive 15 months of interest-free financing on balance transfers and new purchases, and there’s no annual fee. Beyond the first 60 days, there’s a 5% balance transfer fee. After the introductory period, a variable APR of 17.24% to 25.99% applies. Note that Chase (like other card issuers) will not accept balance transfers from cards that it issues. So if you have debt on one or more Chase cards, you’ll have to find another bank that offers a promotional balance transfer. This Citi cards offer 18 months of interest-free financing on balance transfers (after that, it’s a variable APR of 15.74% to 25.74%), with a 3% balance transfer fee ($5 or 3% of the amount of each transfer, whichever is greater). At the same time, this card offers up to 2% cash back on all purchases with no limits. You earn 1% cash back at the time of purchase, and another 1% cash back when you pay for the purchase, or a total of up to 2%. There’s no annual fee for this card. This entry-level travel rewards card offers you 12 months of interest-free financing on both new purchases and balance transfers (after that, it’s a variable APR of 15.74% to 25.74%), with a 3% balance transfer fee ($5 or 3% of the amount of each transfer, whichever is greater). It also features 2x points at gas stations and supermarkets, and 1 point per dollar spent elsewhere. The points you earn on each purchase will be rounded up to the nearest 10 points. Rewards+ cardholders can redeem these points for about 1 cent each toward travel, gift cards and other options, and you can also transfer 1,000 points to 800 JetBlue TrueBlue points. Since JetBlue points are worth 1.3 cents each according to TPG’s latest valuations, this works out to just slightly more value than other options. There’s no annual fee for this card. This card comes in two flavors that offer 14 months of interest-free financing on both new purchases and balance transfers (after that, it’s a variable APR of 14.24% to 25.24%), with a 3% balance transfer fee. The Discover it® Cash Back card offers you 5% cash back on up to $1,500 spent each quarter on purchases made from featured merchants and merchant categories upon enrollment, and 1% cash back on all other purchases. The Discover it® chrome card offers you 2% cash back on up to $1,000 spent each quarter on combined purchases from gas stations and restaurants and 1% on all other purchases. Both versions of this card feature Discover’s Cashback Match program, which will automatically match all of the cash back that you’ve earned after the end of your account’s first year. There’s no annual fee for this card. Both cards offer 15 months of interest-free financing on both new purchases and balance transfers (after that, it’s variable APR of 17.24 – 25.99% ), with a balance transfer fee of either $5 or 3% of the amount of the transfer, whichever is greater. New cardholders also receive a $150 sign-up bonus (equal to 15,000 Ultimate Rewards points) after spending $500 within three months of opening an account. The standard Chase Freedom offers you 5% cash back on up to $1,500 spent each quarter on purchases made from featured merchants and merchant categories, and 1% cash back on all other purchases. The Freedom Unlimited features 1.5% cash back on all purchases, with no limits. There’s no annual fee for either card. The standard, no-fee EveryDay card offers 15 months of 0% APR promotional financing on both new purchases and balance transfers (after that, it’s a variable APR rate of 15.24% to 26.24%), with no fee for transfers made within 60 days of account opening. It also offers you 10,000 Membership Rewards points when you spend $1,000 within your account’s first three months. This card also features double points at US supermarkets on up to $6,000 spent each year (1x thereafter), plus a 20% points bonus when you use your card to make at least 20 transactions per statement period. There’s no annual fee for this card. The EveryDay Preferred offers 12 months of 0% APR promotional financing on both new purchases and balance transfers (after that, it’s a variable APR rate of 14.99% to 24.99%), with a 3% balance transfer fee. It offers a welcome bonus of 15,000 Membership Rewards points after spending $1,000 within three months of account opening. You’ll also earn 3x points at US supermarkets on up to $6,000 per year in purchases (1x thereafter) and 2x points at US gas stations. In addition, you receive a 50% points bonus when you use the card to make at least 30 transactions per statement period. There’s a $95 annual fee. This card offers 0% introductory APR for 12 months for each balance transfer made within 45 days of account opening (after that, it’s a variable rate of 18.24%, 22.24% or 25.24%). The Arrival Plus currently offers new applicants 70,000 bonus miles after spending $5,000 within 90 days of account opening, and earns double miles on all purchases. Barclaycard miles are worth 1 cent apiece as statement credits toward travel-related expenses, and holders of both cards receive a 5% rebate on their miles redeemed. This card has an $89 annual fee that’s waived the first year, and no foreign transaction fees. This card offers new applicants 0% APR financing on balance transfers for the first 9 billing cycles (then, a variable rate of 15.99% to 25.99%), with a 3% balance transfer fee. You can also earn 10,000 bonus FlexPoints, worth $150 in travel reservations, after spending $1,000 on new purchases within your first four months of account opening. 25,000 FlexPoints can be redeemed for $375 in airfare, hotel stays, car rentals and other travel. There’s no annual fee for this card. I always advise people to avoid travel and other rewards credit cards when they’re consistently carrying a balance. Credit cards that don’t offer rewards will always have a lower standard interest rate than those that do. But with the cards above, you can transfer your balance and avoid interest altogether, which is even better than a card with a lower interest rate. I would recommend these cards only for those who are doing everything possible to pay off their balance, not for anyone who uses a 0% APR offer to avoid paying of their debt. The worst thing that you can do is to continue carrying the debt and hope to find another similar offer eventually. Carrying the debt is not just a bad habit — too much debt will also hurt your credit score and make it harder, or impossible, to qualify for another similar offer later. The best way to retire your debt is to pay a percentage of your remaining balance each month so that you will have no outstanding balance by the time the promotional financing offer expires. For example, if you have a $5,000 balance transferred to a card with a 15-month introductory financing offer, then you’ll need to pay off at least $333 a month for you to get out of debt before the standard interest rate applies. By finding the right promotional offer, you can use it to avoid interest charges while paying off your debt and even earning some valuable travel rewards.